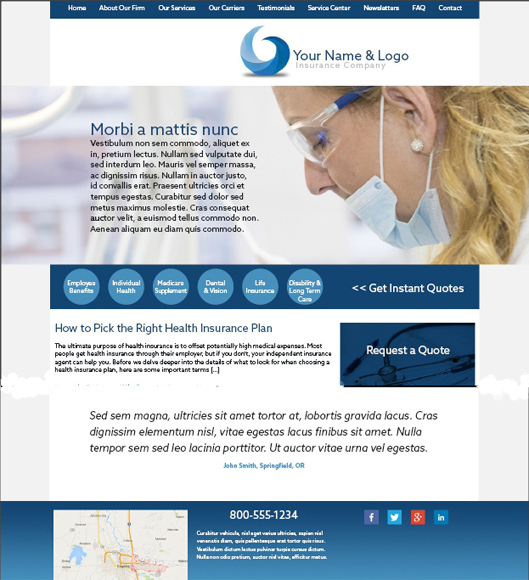 Want a completely custom designed website? 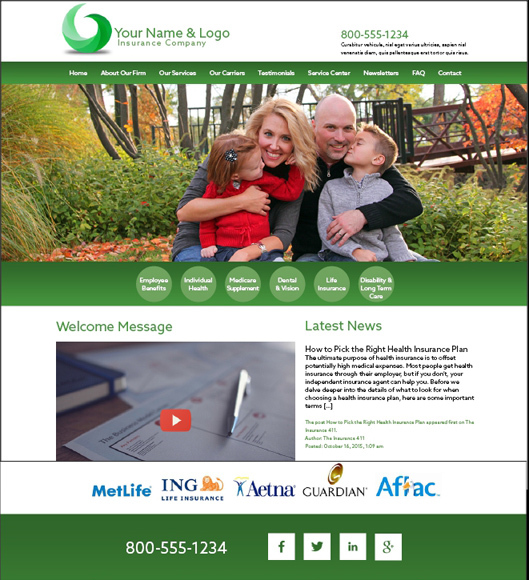 Clear and friendly, this design inspires trust and confidence with its clean colors and easy access to specific information via three central columns. At the top a brief welcome message invites the visitor nto the site while a fourth area hosts your subscription and action calls. 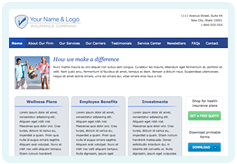 Clean and simple text and design features set the stage for your message. 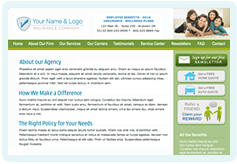 An open home page design with space for a large photo is accompanied by beautiful sidebar messages in eye-catching tones. With a pop of color set in clean white, this theme has a dynamic spirit that moves the viewer along via changing images and colorful graphics. 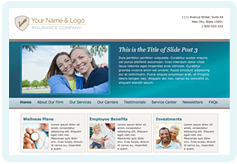 Special to this theme is the home page slider that rotates through a series of images and customizable messages. Inspire your clients with beautiful imagery and a special message from you. 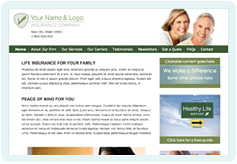 This theme, oriented to offer easy access to the most important parts of your website, also sports unique insurance icons to set your site apart from all the rest. 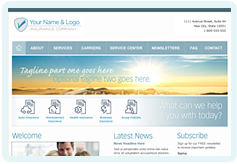 Communicate clearly with this fresh, clean and crisp theme. Touches of brighter color get your message across in a way that is strong but inviting. Catchy icons across the top provide shortcuts for your customers to access information quickly.